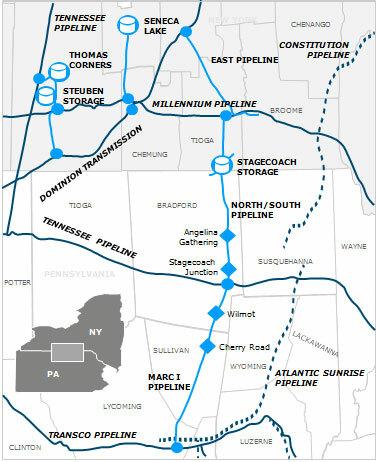 Stagecoach Gas Services is strategically located in the core of the Northeast Marcellus and Utica Shale plays. 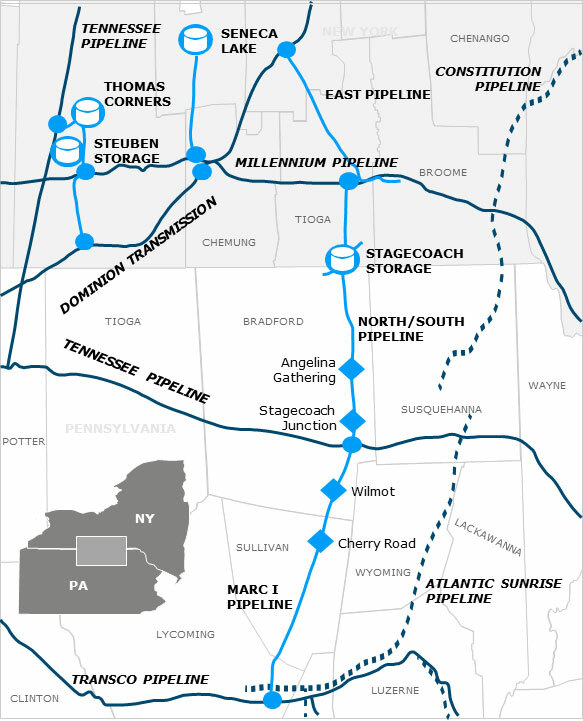 This area is known for its abundant and growing natural gas supplies. Over the next five years, growth opportunities will become available as infrastructure is developed to meet growing gas-fired power generation demand and increasing exports out of the region. Joseph Oates, President & Chief Executive Officer, Con Edison Transmission, Inc.
Peter Carnavos, Vice President, Commercial Operations & Business Development, Con Edison Transmission, Inc.